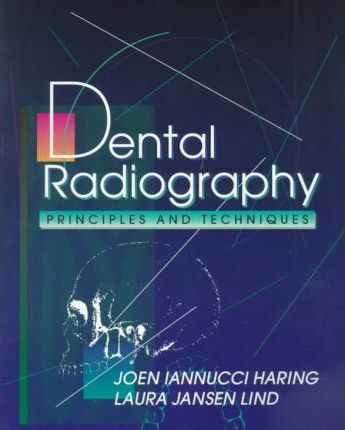 Here is today's most complete reference source and training manual on dental radiography. DENTAL RADIOGRAPHY: Principles and Techniques provides both the essential theory and the hands-on technical instruction that readers need to understand and safely use x-radiation in the dental office. The text is arranged in a logical, step-by-step sequence that progresses through the essential knowledge of radiation, equipment, film and processing, dental radiographer basics, technique, normal anatomy and film mounting and radiographic interpretation. Clear, concise writing combines with a user-friendly layout to make all of this information easy to read, absorb and master. Part I: Radiation Basics. Radiation History. Radiation Physics. Radiation Characteristics. Radiation Biology. Radiation Protection. Part II: Equipment, Film, And Processing Basics. Dental X-Ray Equipment. Dental X-Ray Film. Dental X-Ray Image Characteristics. Dental X-Ray Film Processing. Quality Assurance in the Dental Office. Part III: Dental Radiographer Basics. Dental Radiographs and the Dental Radiographer. Patient Relations and the Dental Radiographer. Patient Education and the Dental Radiographer. Legal Issues and the Dental Radiographer. Infection Control and the Dental Radiographer. Part IV: Technique Basics. Introduction to Radiographic Examinations. Paralleling Technique. Bisecting Technique. Bite-Wing Technique. Exposure and Technique Errors. Occlusal and Localization Techniques. Panoramic Radiography. Extraoral Radiography. Radiography of Patients with Special Needs. Part V: Normal Anatomy and Film Mounting Basics. Normal Anatomy. Film Mounting and Film Viewing. Part VI: Radiographic Interpretation Basics. Introduction to Radiographic Interpretation. Interpretation of Dental Caries. Interpretation of Periodontal Disease. Interpretation of Trauma and Pulpal and Periapical Lesions. Glossary.